← Why Hire a Designer Any Way??? Really, is it February already. Does this mean the cold will end?! February is a romantic month to most people. Most of us don’t decorate much for this holiday, but a beautiful floral bouquet almost always sets the tone for this fun holiday. Romantic rooms aren’t for everyone, but some touches of romantic design treatments are a wonderful touch for more formal rooms or bedrooms of course. House Beautiful had a great display today of some wonderful bedrooms. I’ve shown them below with some tips on what creates the romantic look. For a subtle romantic touch use one or two of the ideas. Add in more for a more dramatic romantic appeal. One great way of adding instant romance in a bedroom is to create a canopy. 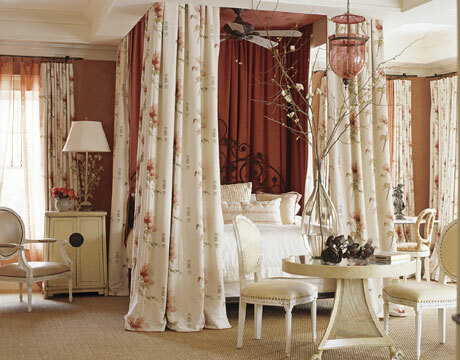 You can do a canopy that fully encloses, is only drapes and the head of the bed, or somewhere between the two. We’ve done canopies in both master bedrooms and kids rooms. If you want the 4-poster bed look try adding floor to ceiling panels. Just wanting to frame the bed for more of a focal point? Try a corona to house the fabric. Crystal or delegate curving chandeliers are a sign of romance. Add them to any space, bedroom, dining, or living, to bring in a romantic appeal. 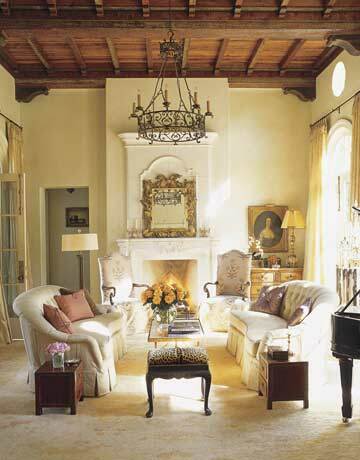 Furniture with curves is a subtle way to get a little of the romantic look without going overboard. Delicate painting or stencil work especially done in pastel colors automatically brings in a romantic flair. Add this trick to any room, but specifically in a kitchen to soften the hard lines. Of course when we think of romantic, we turn to the color pink. 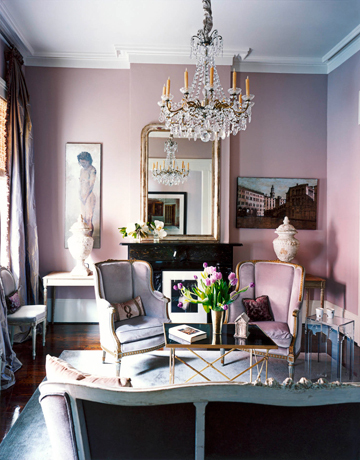 Most pastel colors especially radiate a romantic look. Be sure if used on a wall you don’t go too bright or the romance will turn into headaches. If all else fails, through in a floral pattern and you’ve got the romance covered. 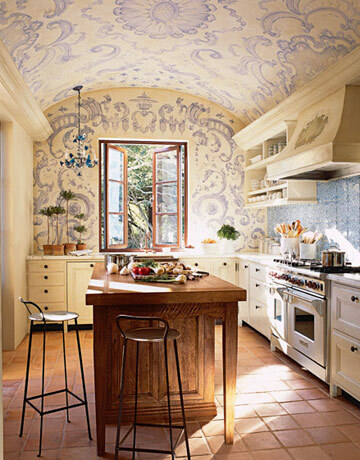 Try patterns that are less bold and more delicate. 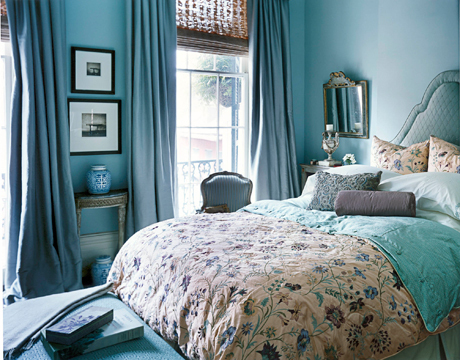 Combining pastels in with the floral adds even more of the romantic vibe.